The GĦAJN – Water Conservation Centre hosted the official launch of the HSBC Malta corporate social responsibility one day training course. 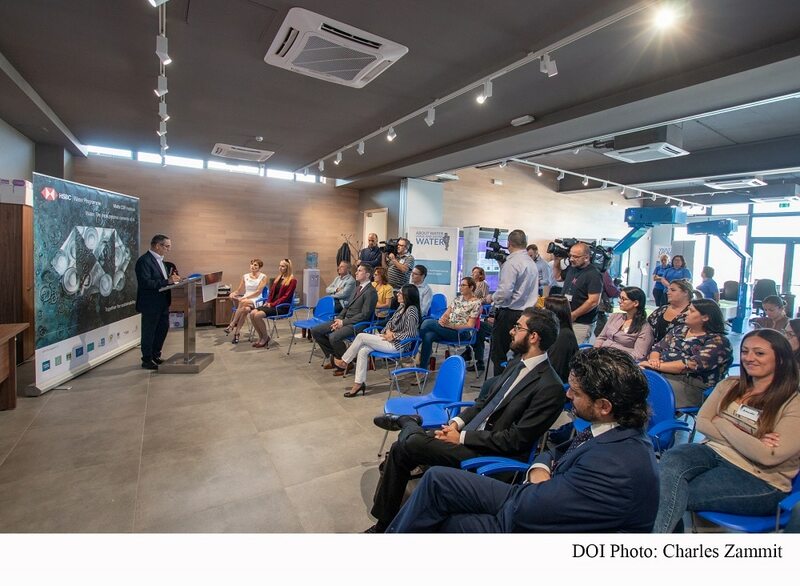 Energy and Water Management Minister Joe Mizzi launched this initiative aimed towards more sustainability in the Maltese Islands with a special focus on water awareness and conservation. This initiative, jointly piloted by the Energy and Water Agency and HSBC will see trainees attending this one day programme lectured by experts on sustainability. Key experts on sustainable practices will also be giving their input throughout the duration of this programme; a programme has been designed and developed with the help of the staff members of the Energy and Water Agency, together with the expert assistance of Prof. Paul Pace and Dr. Alexandra Mifsud. The courses are expected to run until the end of 2019 and it is anticipated to reach 500 business employees and members of the general public, meaning that 500 people will be stewards for sustainability in their corporations, their places of work, their families and their communities. During the opening speech Minister Mizzi also stated that 12 local schools are going to benefit from the installation of 12 water fountains during this scholastic year. This is another initiative in which the Energy and Water Agency is working in close collaboration with the HSBC. All attendees will be acquiring both the knowledge and skills needed to promote sustainable development, which addresses both the Sustainable Development Goals 4 and 12. The programme will also be addressing Sustainable Development Goal 6 where it creates an opportunity for the attendees to appreciate the importance of sustainable use of freshwater and to address water scarcity and substantially reduce the number of people suffering from water scarcity. Sustainable Development Goal 17 is also being addressed through the partnership formed between the Energy and Water Agency, the HSBC Water Programme, Nature Trust and other corporate partners.